outstanding photo below taken by David Lee Guss. 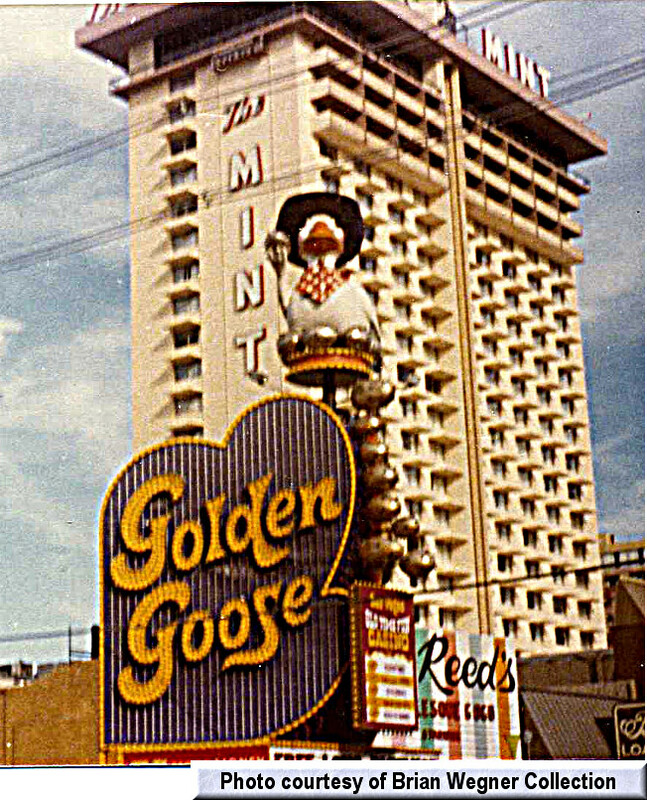 The photo to the left shows Mr. Reed's dwarfed by the Mint tower and tucked in next to the Golden Goose. The people you see at the front of Mr. Reed’s were enticed to stop by a street hawker performing some magic tricks. The magician was really a “jam” auctioneer who gathered the crowd promising them enormous bargains on merchandise. When a sufficient crowd gathered, he’d then open the sliding glass doors behind him with stacks of empty boxes of TV sets, etc. in sight and “jam” the folks into a makeshift gallery. Then closing the doors once the group was inside, the auctioneer would “jam” the merchandise down their throats. Rough business. Mr. Reed’s was located to the rear of the auction. You’d pass through a long dark corridor to watch some questionable ladies promote the sale of overpriced, watered-down drinks and maybe a little more extra-curricular activities. 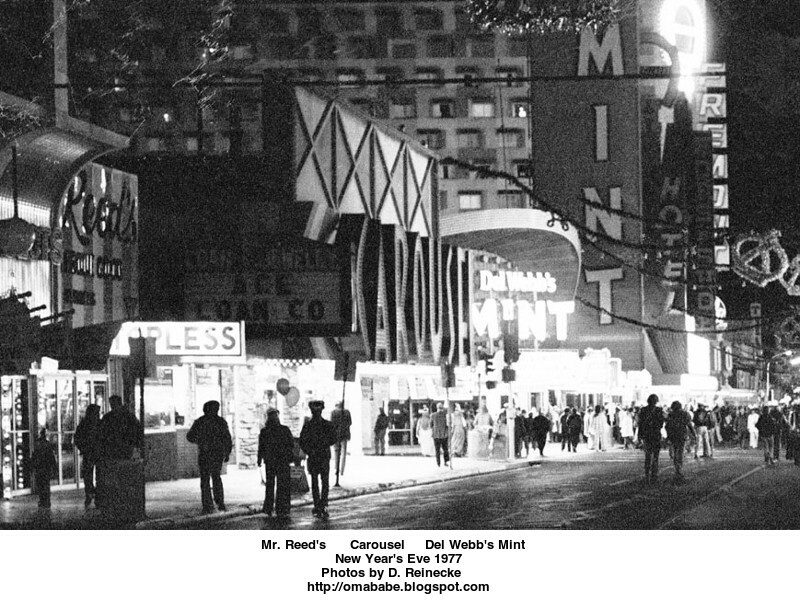 Mr. Reed’s was, at the time, the typical bar hustling jiggle joint. 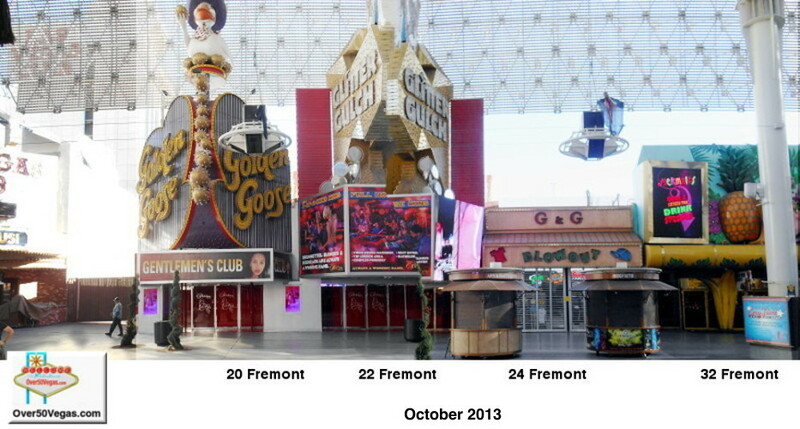 It closed when Bob Stupak acquired the property from Mel Exber, one of the partners of the Las Vegas Club in downtown. 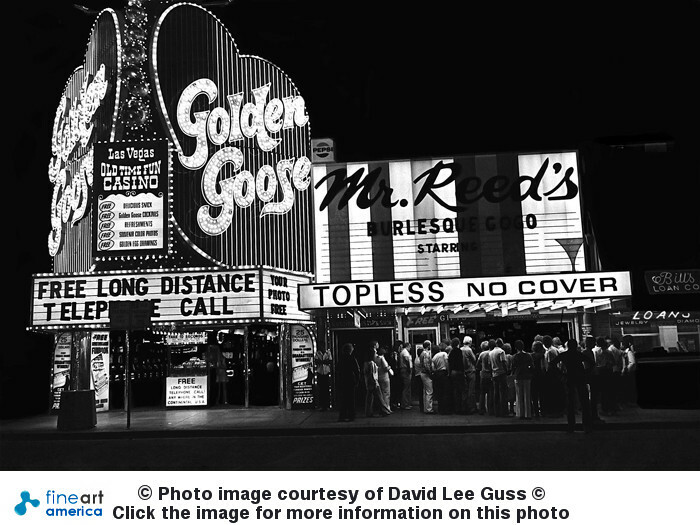 Stupak would then convert Mr. Reed's into Bob Stupak's Glitter Gulch. 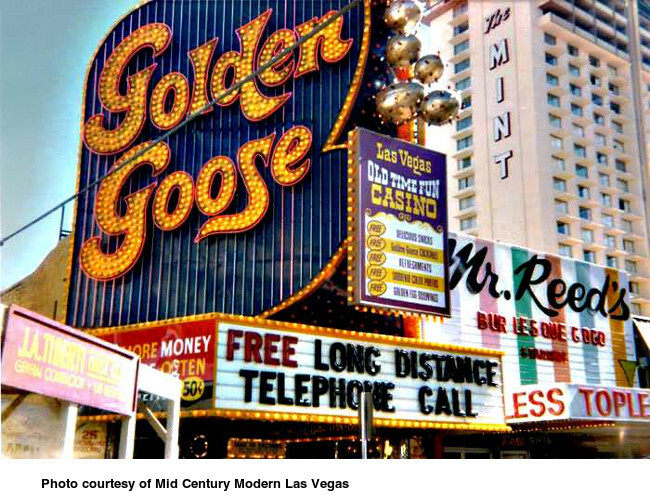 Photo courtesy of Mid Century Modern Las Vegas showing Mr. Reed’s, the Golden Goose and the Mint tower in the background.